Ah, the good ol' stretch marks. While I do think that stretch marks are inevitable and everyone has some, I can't help feel a tad insecure with mine. I have quite a few, thanks to my younger self's inability to control my intake of food which caused me to put on a ton of weight when I was around 14 years old. As puberty and social awareness started to sink in, I lost a ton of weight (20kg to be exact) when I was 16. My skin was definitely confused during that period of time for sure, as thus, it became stretch marks galore. My weight has been fluctuating ever since (because honestly, my self-control is still lacking) and my stretch marks on my arms, hips and other areas seem to be even more prominent. 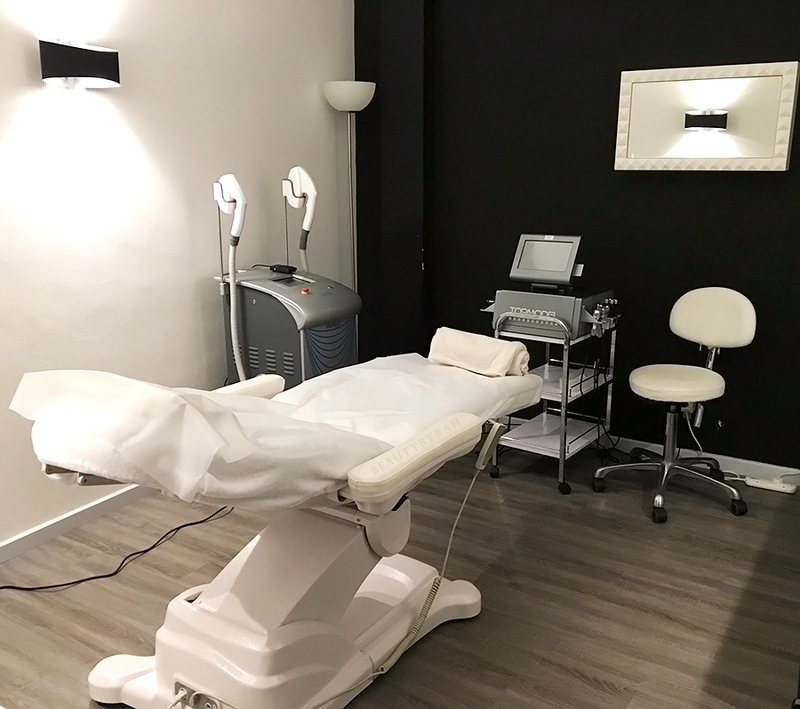 Estheclinic recently launched their new treatment, the Intensive Stretch Marks Treatment, meant to aid in the improvement of elasticity and firmness of the skin while promoting skin renewal and healing, thus reducing the appearance of stretch marks. I am no stranger to Estheclinic and I have tried their Beat the Stress Treatment and Esthecryo Fat Freezing Treatment before. Located at Tras Street, it is convenient for me to drop by and I do like the warm yet professional feel to the aesthetic clinic. I decided to get my arms treated as the stretch marks on my bicep area are pretty prominent and I also wanted to see how firming a session of this treatment would be as the skin in this area puts the S in saggy. Before I began, I asked the therapist what I can expect from one session of this treatment and as expected, she did mention that roughly 4 to 5 sessions would be needed to show significant results. I mean, my stretch marks have been with me for a good half of my life so of course, a single session would not be able to significantly eradicate its presence. However, I did notice some improvements in skin firmness which I will talk about later. 1. Thermo-controlled Radiofrequency that heats the skin to induce collagen stimulation. This is said to result in immediate skin shrinkage, leaving skin instantly tighter. Radiofrequency waves penetrate deep into the sub-dermal and inner dermis layers to stimulate collagen production to help firm the skin. There are various levels of heat so do let the therapist know what you're comfortable with. I found this step to be comfortable and quite soothing in fact as the therapist would massage the skin with the three-pronged applicator. 2. A micro-needling device is used to gently roll over the skin area, helping to speed up skin repair and retexturises skin. 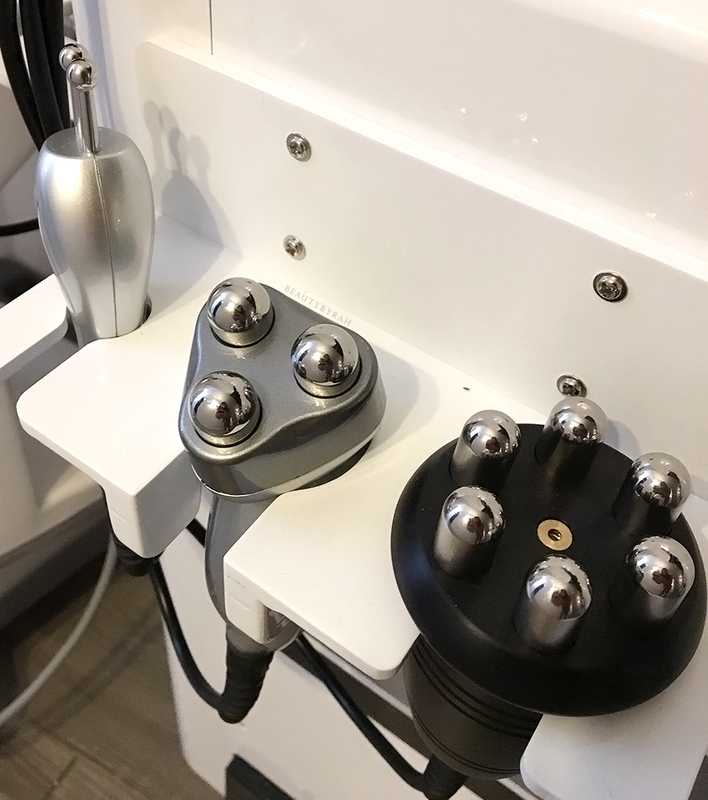 Even though it may look intimidating, the titanium needles are extremely fine and it gives a tingling effect, making it feel slightly ticklish rather than painful for me personally. 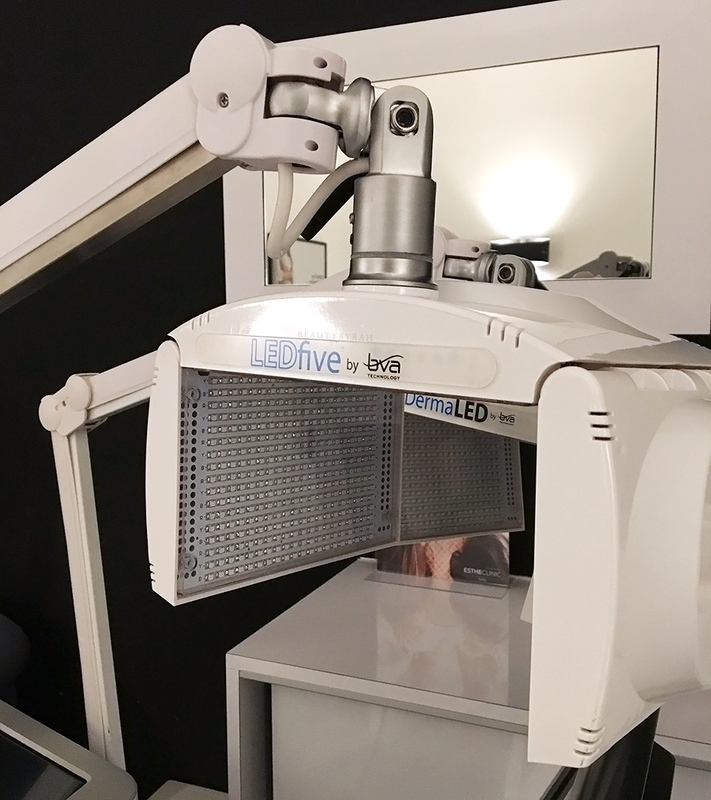 This device helps to create invisible micro-injuries when rolled over the skin, effectively stimulating the skin on a cellular level to increase the production of collagen and elastin. 3. Application of Eladerm Le Serum CosmeLED serum which contains botanicals that stimulates skin renewal and retexturisation. The chlorophyll in the formulation oxygenates skin cells while aiding skin to more effectively absorb the LED light therapy in the following step. 4. LED Photomodulation utilising red LED light to activate new collagen formation by giving fibroblasts get a boost. This helps to stimulate the production of collagen and elastin in the skin, helping to firm it while activating the skin’s deep, regenerative mechanisms. 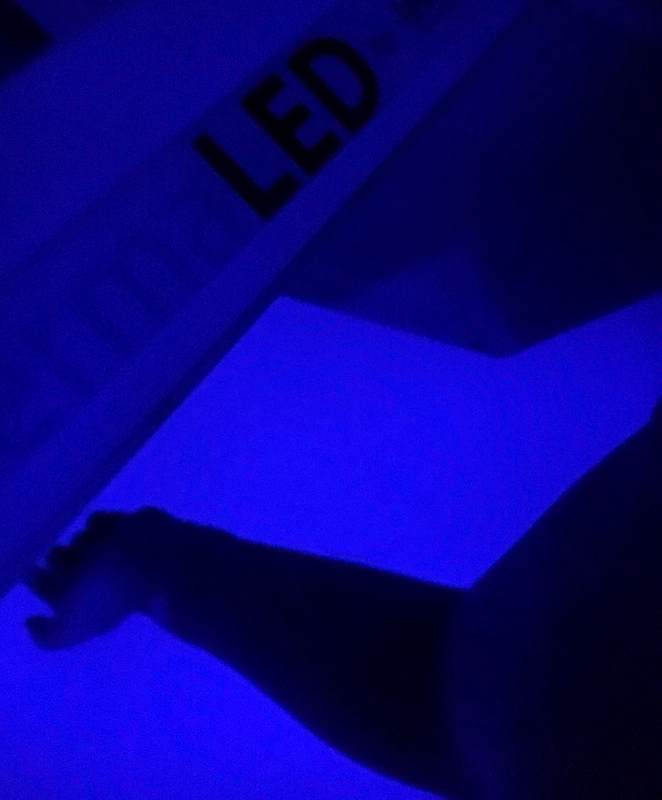 I fell asleep here as all I had to do was lie there while the LED light does its magic. Side note, the image taken was right after the LED lights went off as it was too bright for anything to be seen; I just wanted you to have a rough idea of what happened. 5. Application of Eladerm’s Stretch Marks Gel which is formulated White Lily Oil to soothe skin, Centella Asiatica to restructure support tissues and prevents the appearance of stretch marks, Arnica to boost skin repair, and Horsetail extract regenerates collagen fibres. This gel also contains Antioxidant-rich Vitamin E and sesame oil helps to maintain the integrity of cell membranes. The whole treatment took about 90 minutes and was extremely comfortable. 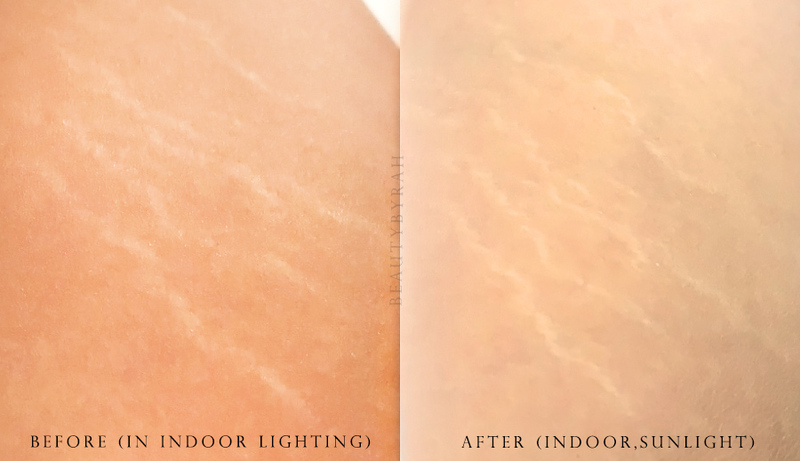 While I did not see any difference in terms of the appearance of my stretch marks on my arms after the treatment wand now as I am typing this one week later, I did notice that my skin is feeling smoother and a tad more firm. Thus, I do see the potential. That being said, Estheclinic does recommend 6 to 15 sessions for optimal results and they do offer packaging of 6,10 and 15 sessions. A single session goes for S$380/450 depending on the area of treatment. Stretch marks are pretty much a part of us and while exercising and building muscle can help to tone the area and reduce the appearance, a complete eradication of its appearance would require some professional aesthetic assistance. 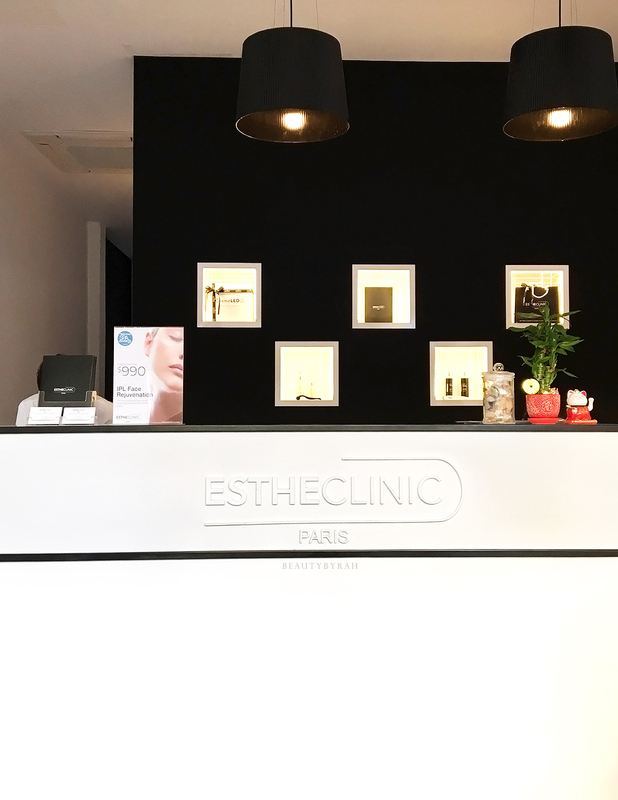 That decision is ultimately up to you, but if you were looking for something to treat it, Estheclinic's Intensive Stretch Marks Treatment can be a viable option and you can find out more on Estheclinic's main website here. **Disclaimer: This treatment was sponsored by Estheclinic for review consideration. I am not compensated or affiliated to the brand. The above review is based on my true and honest opinion and it also contains information from the brand itself.